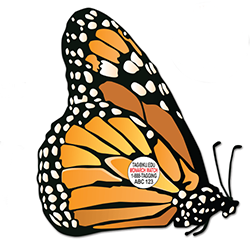 Our Bumper sticker Pack includes a total of 20 bumper stickers (5 each of 4 designs). 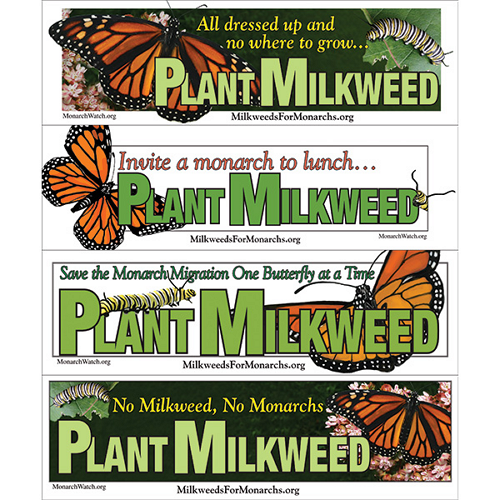 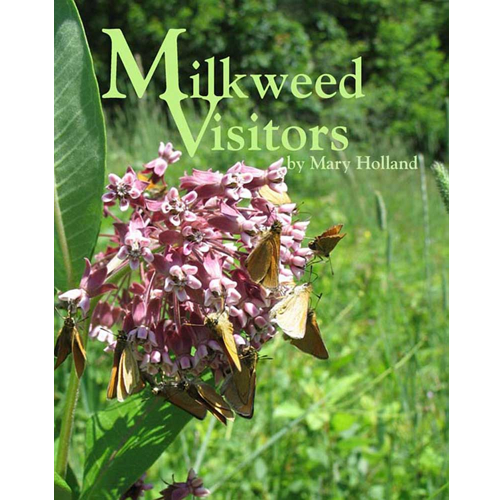 Each bumper sticker (approximately 3" x 10") features our "Plant Milkweed" conservation message. 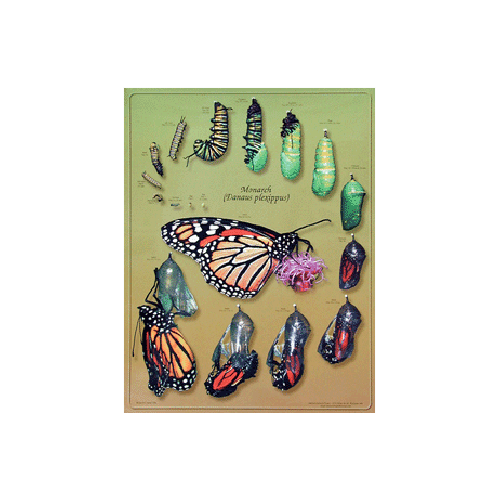 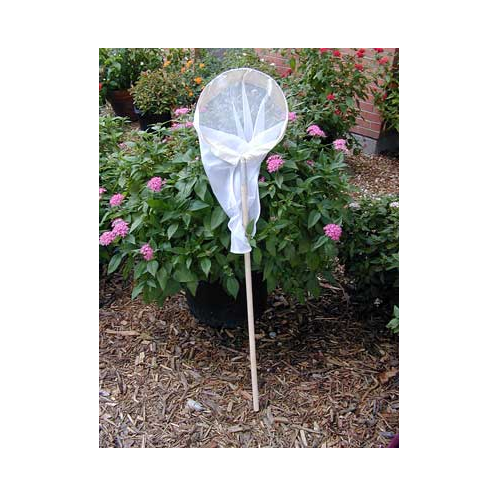 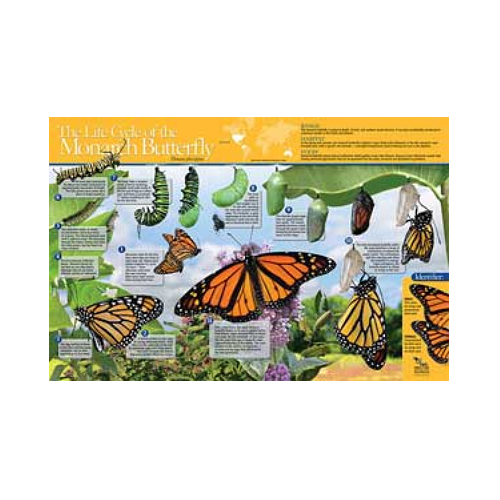 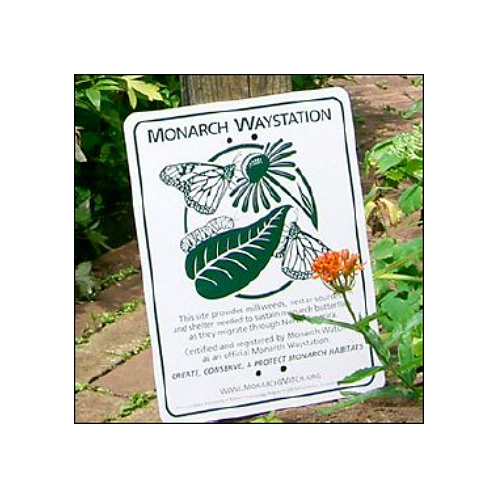 These bumper stickers are a great way to promote monarch conservation awareness and make wonderful giveaways for students or anyone interested in monarch butterflies.